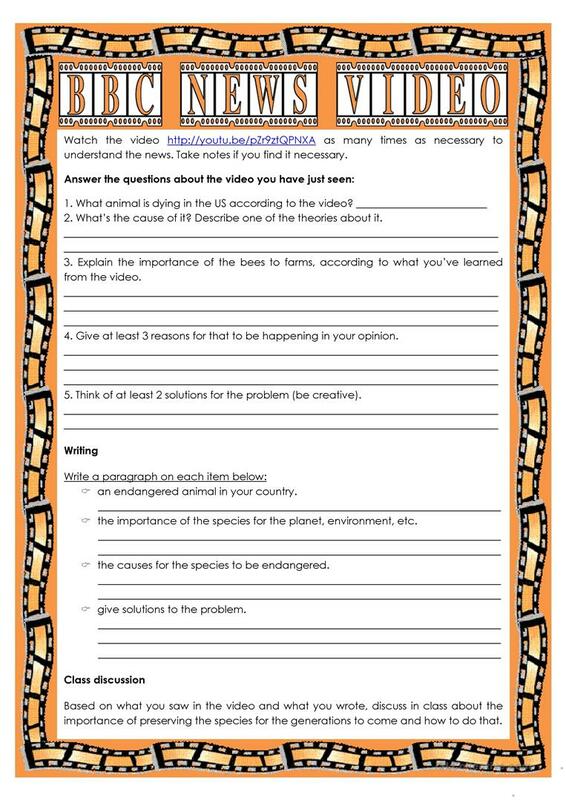 Activities based on the video (link provided on the ws): listening; comprehension; writing; class discussion. Topic: endangered species. The above downloadable teaching material was created for business/professional students, high school students and adults at Upper-intermediate (B2), Advanced (C1) and Proficient (C2) level. It is a valuable material for improving your learners' Listening, Speaking and Writing skills. It is focused on the topic and words of Environment.